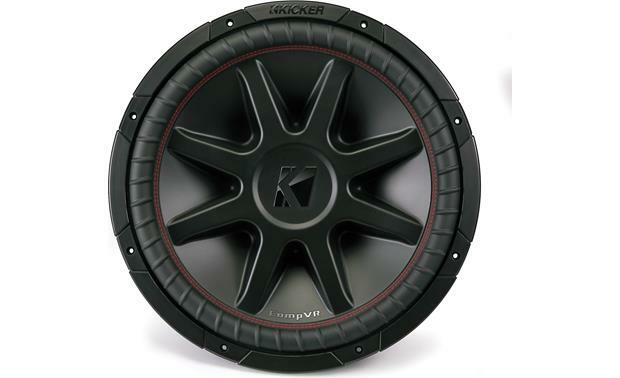 Kicker's CompVR Series 43CVR152 sub delivers serious bass without tearing a hole in your wallet. 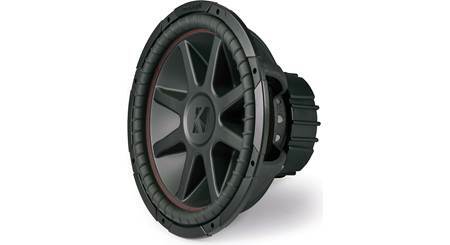 Kicker's CompVR Series 43CVR152 sub delivers serious bass without tearing a hole in your wallet. This 15" sub handles up to 500 watts RMS, thanks to a tough, injection-molded polypropylene cone supported by a reliable Santoprene™ surround. 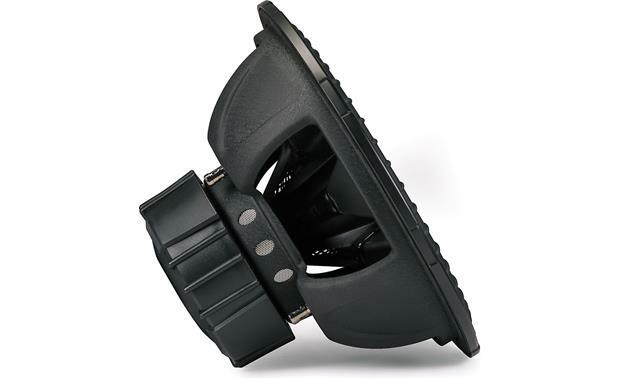 The unique SoloKon™ cone with its 360-degree back bracing keeps going strong when the bass gets heavy, while perimeter venting in the strong steel basket keeps the voice coils cool for dependable performance. 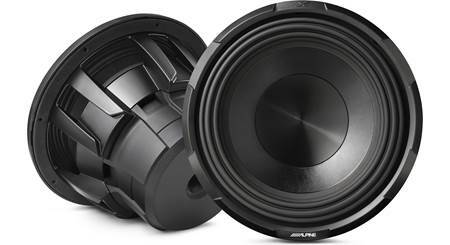 The sub's dual 2-ohm voice coils give you more wiring options when setting up your system. The sub's cool-looking black finish highlights the potent low end you'll hear and feel. 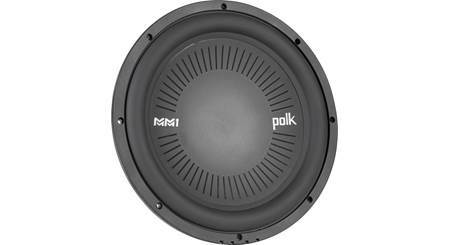 To drive this single subwoofer, we recommend a mono amplifier rated between 375 and 750 watts RMS at 1 or 4 ohms. For more information, please refer to our article on How to Match Subwoofers and Amplifiers. sealed box volume: 1.8-5.2 cu. ft.
ported box volume: 3.0-5.0 cu. ft.
Break-in Period: The high-performance suspension system makes the speaker very stiff out-of-the-box. Approximately 2 weeks of daily playing will allow the suspension to break-in and reach its optimum equilibrium. 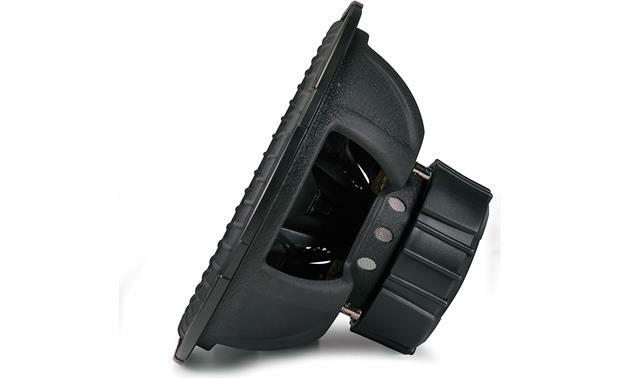 A broken-in subwoofer will exhibit stronger bass performance, smoother response, and greater low-bass extension. Sealed Enclosure Applications: Kicker recommends sealed enclosure volumes from 1.8 ft³ to 5.2 ft³. Sealed enclosures provide the most control over a woofer, will handle a lot of power, and provide accurate sonic reproduction, making them suitable for all types of music. 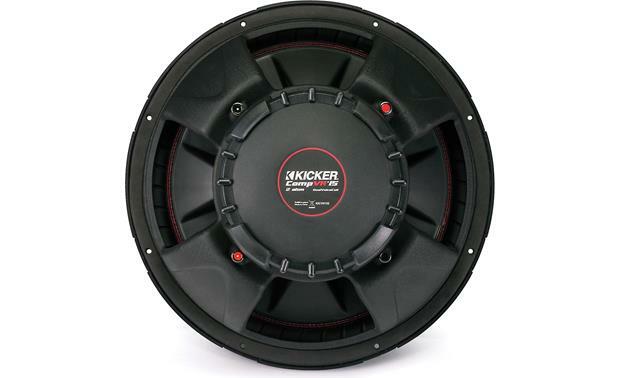 Ported Enclosure Applications: Kicker recommends ported enclosure volumes from 3 ft³ to 5 ft³. Slot port dimensions are given in the manual for the minimum enclosure volume (15-1/2" x 2-3/4" x 25-3/4") and the maximum enclosure volume (15-1/2" x 3" x 22"). Ported (or vented) enclosures typically provide better overall efficiency than sealed, so they are suitable for use with smaller amplifiers, giving you more bass output from less power. However, this efficiency comes at the expense of very low frequency output. Searches related to the Kicker 43CVR152 CompVR 15" subwoofer with dual 2-ohm voice coils.